You can attend any number of days during the month course. Please scroll down to see the fees for most popular packages. Enroll yourself into Ashtanga Yoga Intensive Course in Phuket, Thailand. 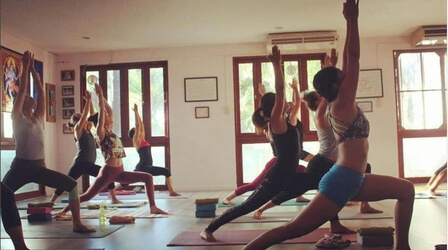 Traditional Ashtanga Yoga Shala Phuket (TAYSP) offers the ideal program for experienced practitioners and beginners either one wish to deepen the practice or start the yoga journey. 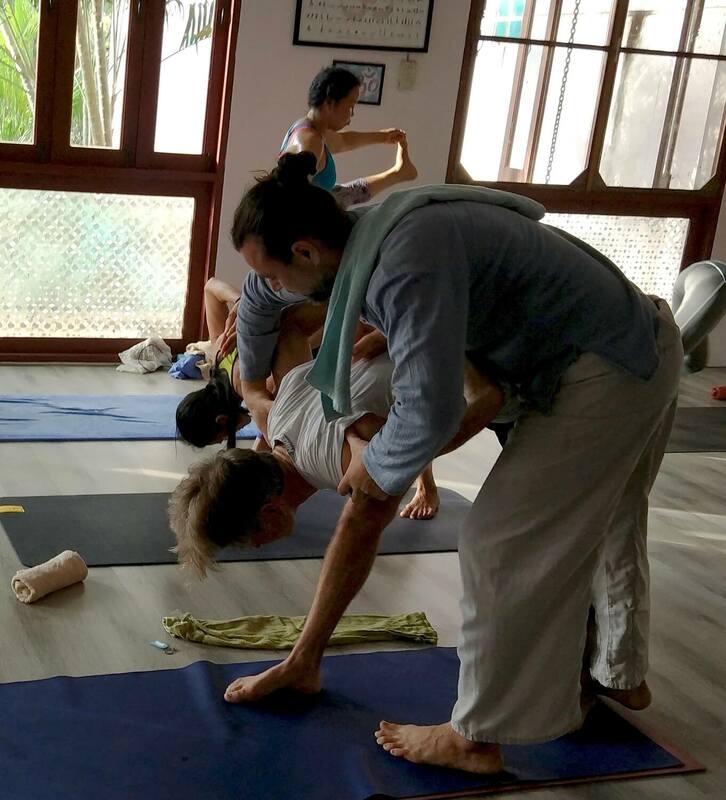 The course is organized in a way where participants discover a lot of new information and develop useful skills to cover different aspects of yoga practice. The schedules of daily classes, healthy food, comfortable accommodation, friendly atmosphere create perfect conditions for the student to progress quickly and develop an enjoyable personal practice bringing health to body and mind. 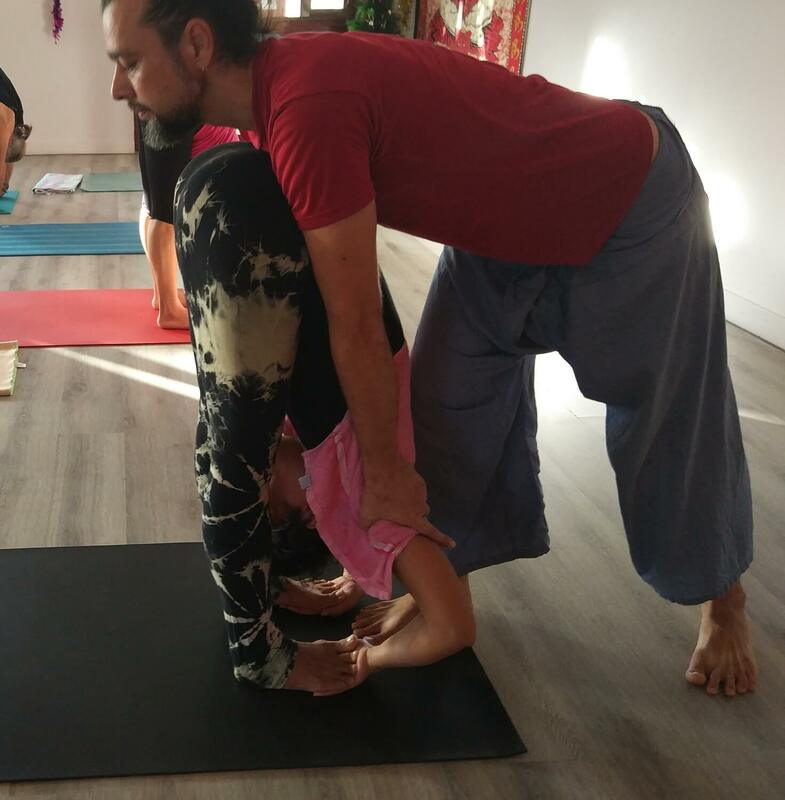 During the course we study the main aspects and principles of Ashtanga Yoga and implement the knowledge into the practice. We build the solid practice based on vinyasa system, applying bandhas, drishti and using Ujayi breath. 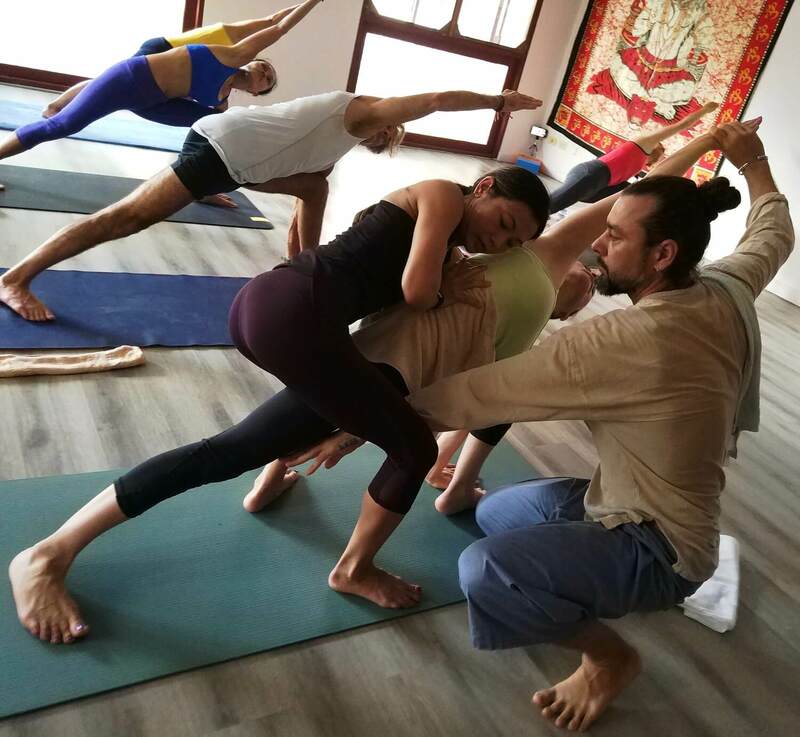 We discover the foundation of each asana and its modifications, body alignment, we learn therapeutic effect of asanas and we do additional trainings for building the strength and flexibility to improve the practice. We take a journey to explore inner and outer sequence of Ashtanga Yoga Primary Series to make a daily asana practice a meditation experience. The course also includes training in pranayama practice. Students are guided to practice a number of pranayama techniques consistently, they take their time to deepen the understanding of this ancient practice and strengthen the control of the breath. 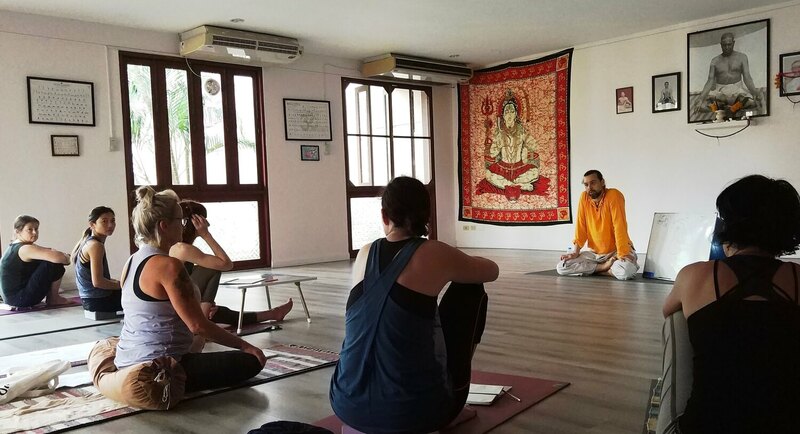 During the course we learn kriya techniques – ancient purification exercises which help to purify the body and prepare ourselves for pranayama and asana practice. The students are provided with basic equipment for these cleansing practices. Intensive yoga course is not complete without focusing on work with the mind. Even the asana, pranayama and kriya required a deep concentration students get additional experience and training in yoga nidra and meditation. It helps to change the habitual patterns of the mind which is essential for self development and inner growth. Students are also introduced to yoga philosophy and main ancient yoga texts as it gives a strong theoretical foundation of the practice. The schedule might be changed depending on needs and practice progress of the students. The confirmation of booking is done after deposit recieved. TAYSP is a great place for practice. I liked its atmosphere and that it's always hot there. Sonya and Rich are very attentive and confident teachers. You can try all colors of treatment and root the habits inside your mind. The student can choose following additional treatments and procedures related to detox program without any additional fees: colon cleansing, herbal drinks, Ice Water treatment, Thai oil massage, Korean acupuncture session. For the complex detox program additional fee is required. After completion of the program the attendee is getting 10% discount gift certificate for the future attendance of any program at TAYSP. Refund policy: All fees are non refundable. A student can transfer from one course to another at least one month before the start of that course to attend another. After this time fees are forfeited. During the course we provide accommodation and food which is included in course price. We accommodate our guests in private comfortable rooms in fully equipped houses at Land and House Park close to the Yoga Shala. Its a big private and quite area in a serene lush tropical setting near the lake. Guests have an access to the swimming pool at the Clubhouse. The allocation of the houses depends on availability on the moment of booking. A refundable security deposit for the accommodation needs to be left at the check in. The deposit can be in any currency equivalent to 5,000 THB. If there is no loss or damage of the property the deposit is fully refundable at check out. Guests can be offered to change the room which has same facilities during the period of stay.